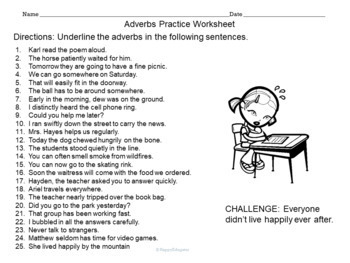 Interactive practice identifying adverbs in a sentence. 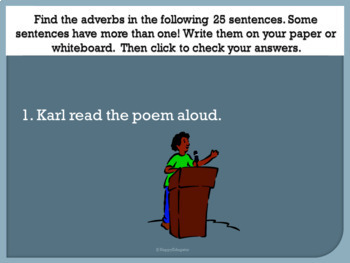 An animated PowerPoint on finding adverbs in sentences has introductory slides on adverbs that tell how, where, when and to what extent, with examples. 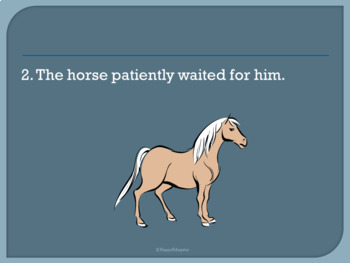 Includes common comparative-superlative forms. Students can take notes on the introductory slides. 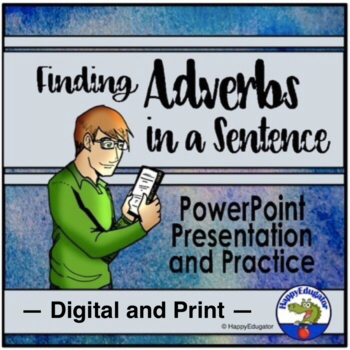 The rest of the PowerPoint has students actually practice finding adverbs in 25 different sentences by writing them down on their own paper and checking themselves after each question. They can use their notes to help.Great addition to your parts of speech unit. Instant feedback! There is also a key at the end for them to double check. © Deborah Hayes aka HappyEdugator. For classroom or homeschool use.